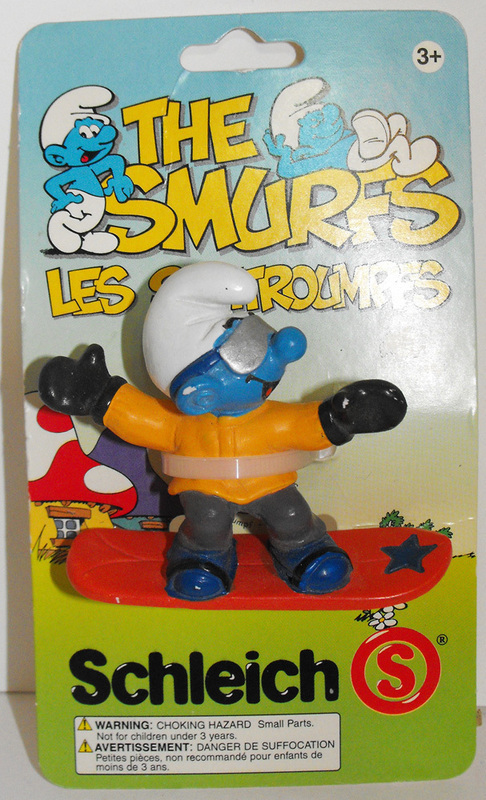 20452 Snow Boarder Smurf Vintage Plastic Figurine, about 2 inches tall. It is used and in brand new on package but has paint rub on ear and thumb. Figurine comes loose without any packaging or tag.